Our menu reflects the particular season of the year with regards to the available seasonal produce. We always have both well-prepared meat meals as well as tasty lighter vegetarian dishes. 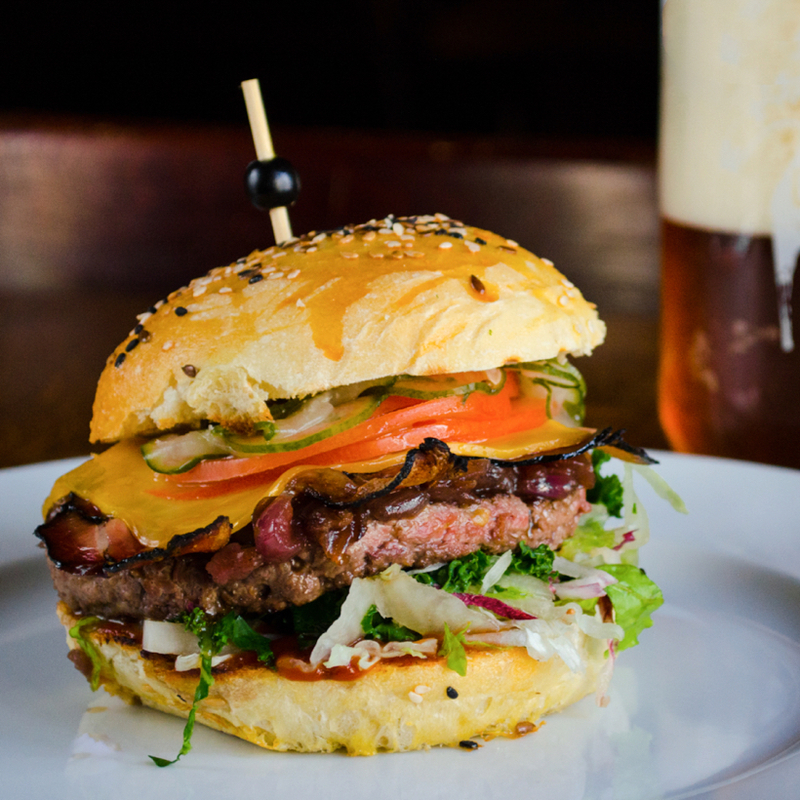 Fresh high-quality ingredients are always the key element. 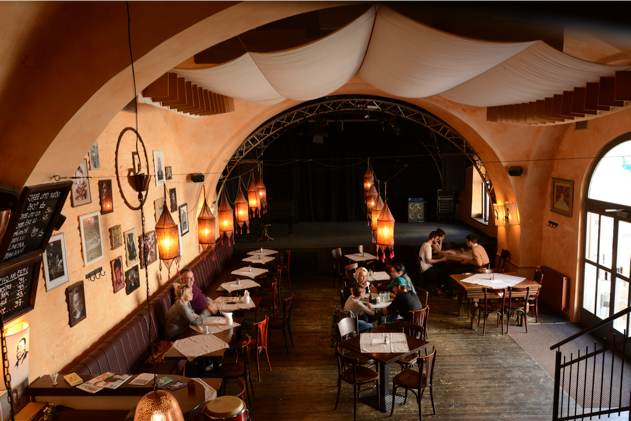 Jazz Tibet Club is a unique venue due to its both spacious and cosy room with a restaurant as well as a stage fully equipped for hosting concerts and other events (discussions, film screenings, theatre productions). The venue can be hired for cultural as well as private events (company events, birthday celebrations or wedding parties) with the option of a live music performance. The team of the Jazz Tibet Club will be happy to cater for your event according to your wishes: from typical Czech cuisine, vegetarian meals to finger-food. We are also able, upon agreement, to cater a small-scale event organized in another venue. Professional technical organization of the potential performance is of course included. 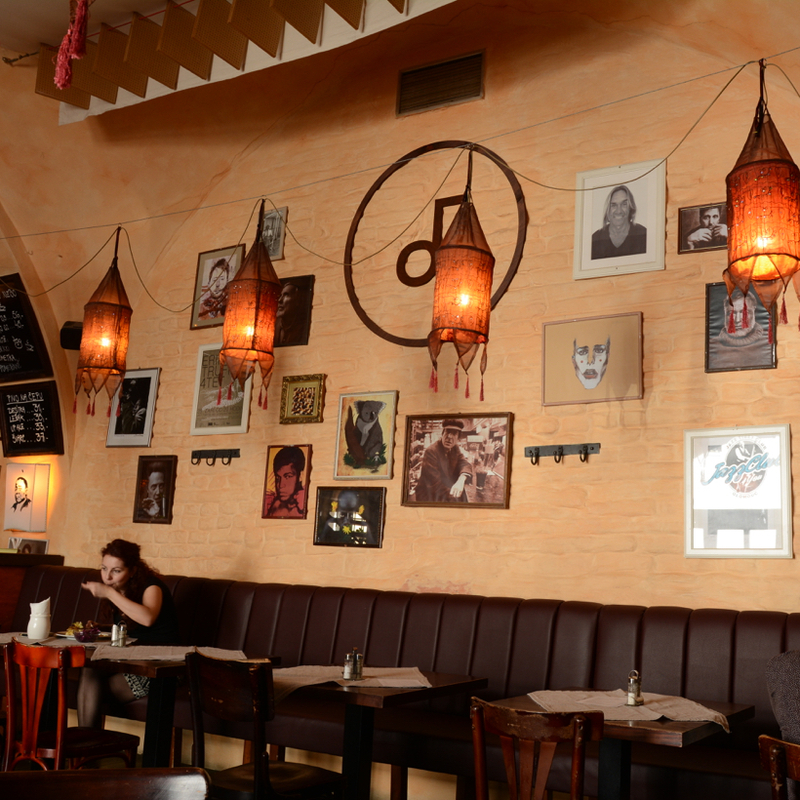 Jazz Tibet Club is a legendary space in Olomouc where a music club meets a bar and a restaurant. This unique venue holds concerts by top-quality bands and musicians from all over the world, united by amazing music and an honest approach to it.